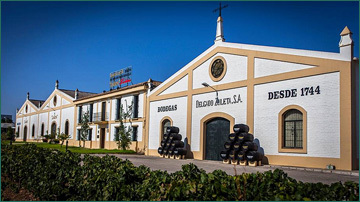 Delgado Zuleta is the oldest winery in the Marco de Jerez region. According to its archive records, its origins go back to the XVIII century and the oldest legacy found in the company’s extensive archive dates from 1719. In 1744 the Cargador a Indias,1 knight of Calatravas Order and Perpetual Alderman of Sanlúcar, Mr Francisco Gil of Ledesma and Sotomayor, started up this wine-growing business activity. Only four years later, he presented a project before the Cabildo de Sanlúcar to establish a Sanlúcar-based company involved in trading with America. The company continued under the name of Gil de Ledesma heirs until late XIX century when Dolores Ñudi, one of the direct descendants, married Don José María Delgado y Zuleta, a war sailor who arrived to the port of Sanlúcar de Barrameda leaving behind his military career to run the wine-growing business. The company was renamed after him and his full name became the company’s trade mark. At that time the company underwent an important growth to the point of becoming suppliers of the Royal House of Their Royal Highnesses Alfonso XIII and Victoria Eugenia. Upon the death of José María Delgado y Zuleta, his son Tomás Delgado Ñudi took on the business which then was renamed as “Hijo de José Delgado Zuleta S.A.” and registered in 1955 as a public limited company. 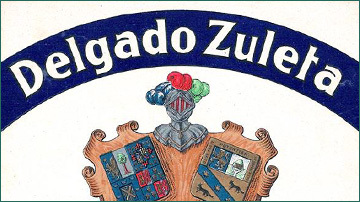 Was on the 24th of June of 1974 when the company adopted the same trade mark it has today: Delgado Zuleta S.A Four years later, the merger between the company and the Sanlúcar-based winery Rodríguez La-Cave S.A took place although the company remained with the same name. 2. A popular risqué Spanish theatre song style in the late years of the 19th Century. 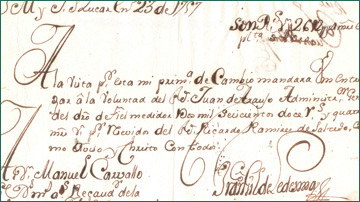 Year of the oldest accounting document that registered wine trade activity by Mr Francisco Gil de Ledesma before building the company. Establishment of the company by Mr Francisco Gil de Ledesma, Knight of Calatrava’s Order and Honorary Mayor of Sanlúcar de Barrameda. The marriage of Doña Dolore Ñudi y Dias de la Concha, the founder’s direct descendant, and Mr José Maria Delgado y Zuleta who, after the wedding, took charge of the business and helped to make the company grow, as a result the company was given a new name. Delgado Zuleta become for the first time the supplier of the Spanish Royal House. Delgado Zuleta named his best Manzanilla La Goya, the artistic name of a famous period cuplé2 singer and dancer whose real name was Aurora Mañanos Jauffre. Quite frequently, she acted as ambassador and hostess in multiple events. King Alfonso XIII and Queen Victoria Eugenia, the great-grandparents today’s King of Spain, honored Delgado Zuleta by signing their names on both boots. The company got its current trade name, Delgado Zuleta S.A. entering in a growth stage in both, Spain and the international market. In parallel major investments are made in the production area to adequately meet the growth. Delgado Zuleta merged with Benito Rodriguez La-Cave, a highly prestigious family-based winery with whom they had family ties and which was highly recognized for the quality of its Barbiana Manzanilla and its Amontillado of Sacristy Quo Vadis? The transfer of the winery to Pago de la Dehesilla began. They were absolutely certain that the new location was perfect to age Manzanilla and to keep old wooden cask for aging their wines. The process takes more than 16 years. The La Goya manzanilla was picked to be served during the wedding of the Kings of Spain, Mr Felipe of Borbon and Mrs Letizia Ortiz. Subsequently the same manzanilla, which was specially bottled for the occasion, was chosen by the Tasting Committee of the Regulatory Council of the Manzanilla de Sanlúcar D.O. for the Bicentennial Commemoration of the Constitution, so-called "La Pepa". The launching the Manzanilla en Rama Goya XL wine which was made of the winery’s best selected Soleras3 and which from the very beginning was considered by experts as one of the best Manzanilla in history. Delgado Zuleta entered the US market, after being present in twenty more countries of the five continents, among which we underline China, Japan, Australia, New Zealand, Canada, the UK, France, the Netherlands and Finland. Quo Vadis cataloging? The very old amontillado wine of Delgado Zuleta, classified as VORS, Vinum Optimum Rare Signatum (Wine Selected as Optimal and Exceptional) was rated 97 points by Parker.